Geranium essential oil benefits include it's ability to help with symptoms of menopause, balance hormones, reduce anxiety, clear acne breakouts, and help promote a deep state of relaxation in aromatherapy treatments. Geranium oil benefits and uses! Used in many perfumes, skin care products and cosmetics, geranium oil has a sweet, rosey smell that is lightly scented, and has an uplifting, energizing aroma. It is created by grinding the flower, leaves and stalk of the geranium plant into a fine powder, and extracting through steam distillation. The properties of this oil make it great for use in fighting emotional, mental, and physical ailments. Geranium oil is sometimes compared to rose oil as they have very similar components and therapeutic traits, like citronellal, nerol, and limonene, but this oil has the perfect combination. Because of all of this oil's benefits for mind and body, it is the perfect oil to use in massage therapy. It not only aids in healing, but helps to promote a peaceful, relaxing state of being, helping the client to release stress and tension. 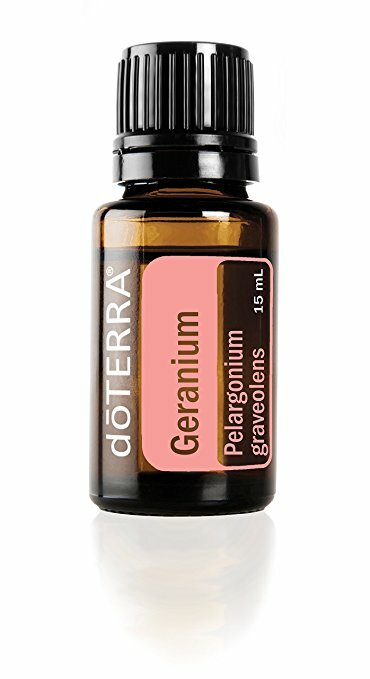 Geranium essential oil benefits are so numerous that it is hard to not use this oil for optimal health benefits and overall well-being.